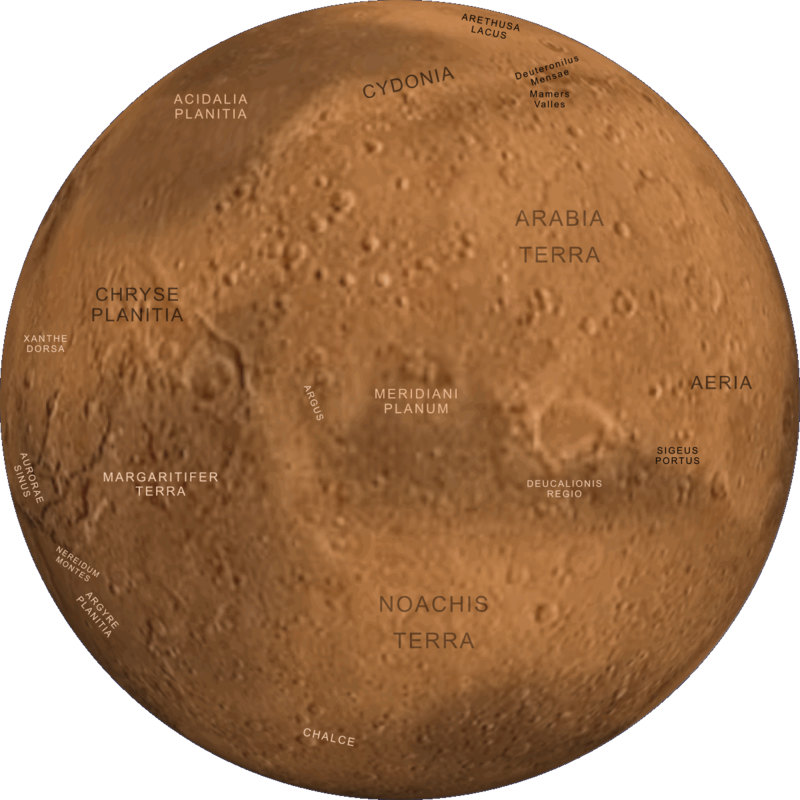 For Mars' current position and visibility, see the Planet Wheel. 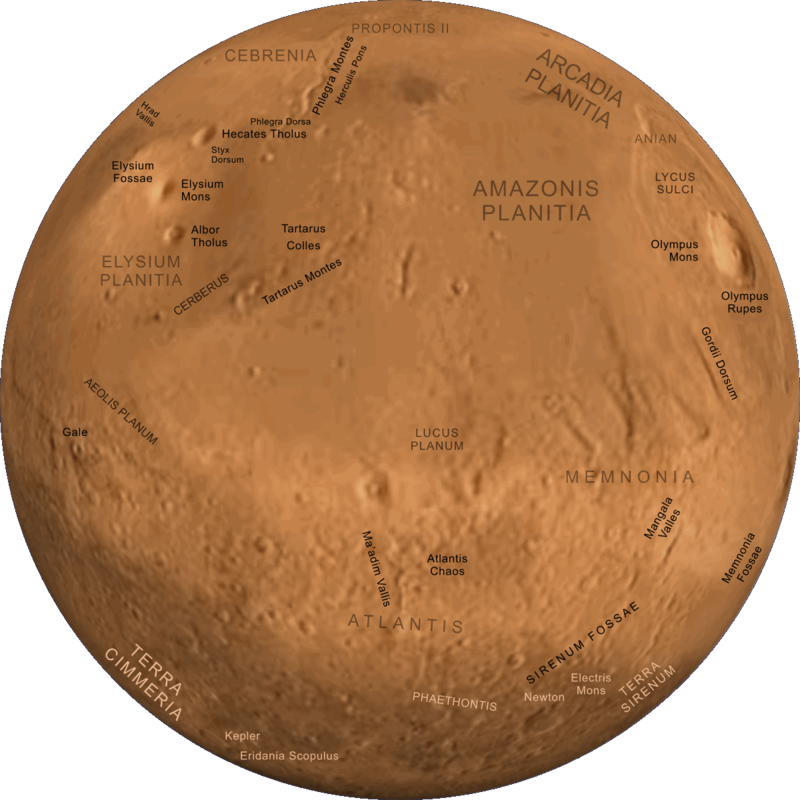 Notes The fourth major planet from the Sun, Mars is distinctive for its red-orange colouration, broken only by icy white at the poles. Its diameter is only about half that of Earth. 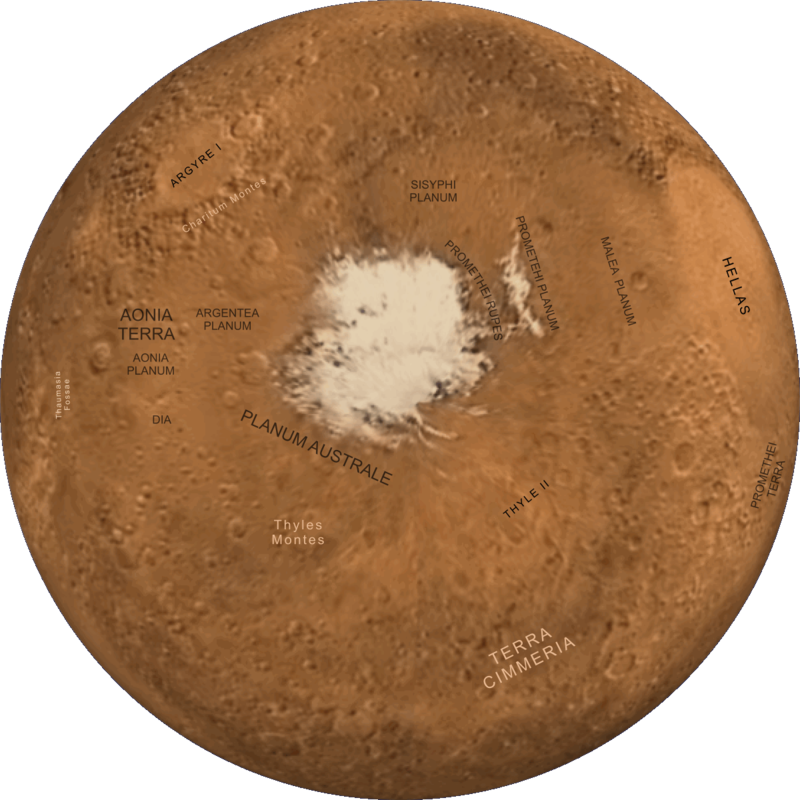 The broken and icy north polar region of Mars. Prominent against the whiteness is the dark gouge of the Chasma Boreale, the North Canyon. The cold desert world of Mars lies further from the Sun than Earth. 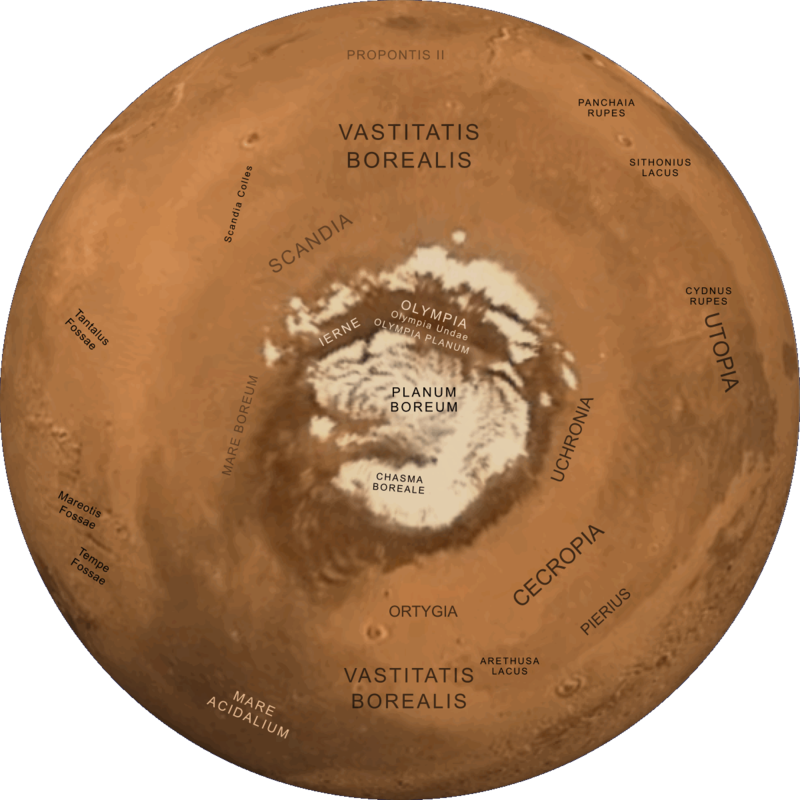 Considerably smaller than our own planet, Mars' atmosphere consists mainly of carbon dioxide. 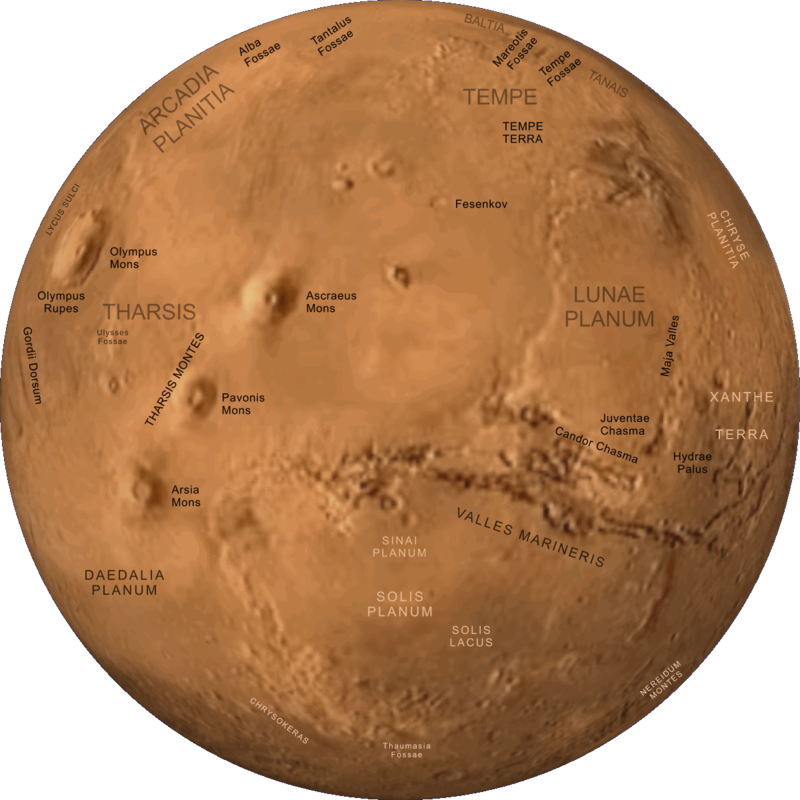 Mars has a diameter a little more than half that of Earth. Nonetheless, because it has no oceans, its total land surface is similar to that of our own planet. A view down into the Valles Marineris, an immense complex of valleys more than 4,000 kilometres in length, running between the volcanic plains of Tharsis and the densely cratered landscape of Chryse. 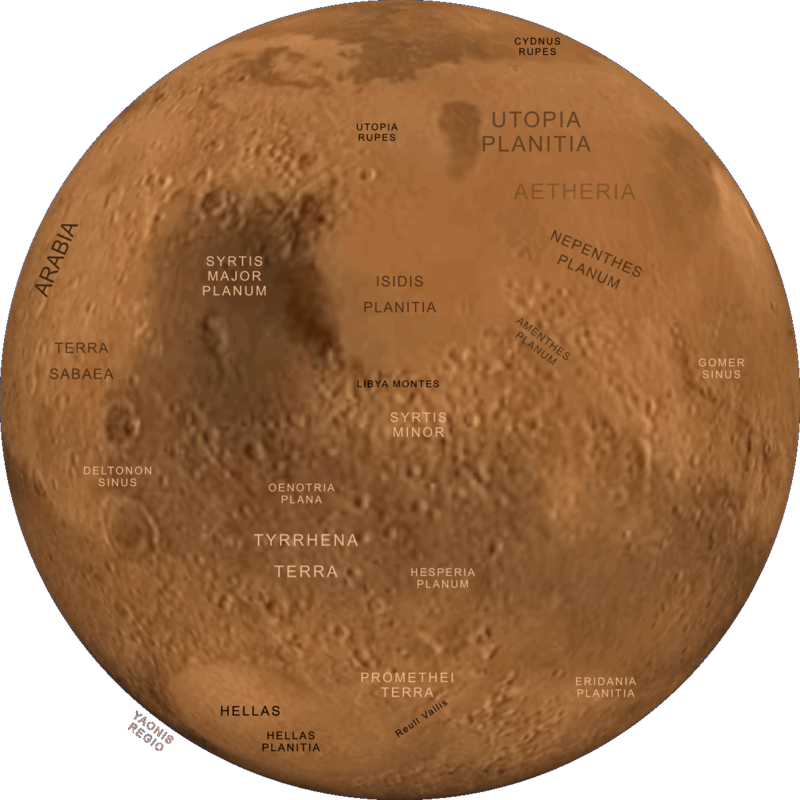 Mars and its moons, Phobos and Deimos, shown to scale.